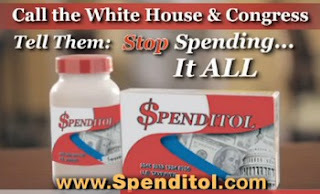 ARRA News Service: Spenditol - Stop Bankrupting Our Families! Spenditol - Stop Bankrupting Our Families! The endless cycle of federal debt is a moral issue. The endless cycle of deficits is putting our families at risk and undermining the future for our children and grandchildren. 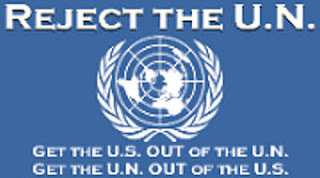 It’s time for the women of America to stand up and demand that the federal government "Stop Bankrupting Our Families!" and get serious about ending the cycle of debt and balance the budget! Women are responsible for the vast majority of consumer spending. We are forced to balance our family budgets. The government can and must do the same. That’s why Concerned Women for America Legislative Action Committee is initiating this petition calling on our nation’s leaders to "Stop Bankrupting Our Families" and pursue a real plan to end the deficits and balance the federal budget -- the Cut, Cap and Balance proposal. Tags: CWFA, Concerned Women for America, CWALAC, Spenditol, ad, video, spending, budget, fisical responsibility, concerned women, Obama, Congress, cuts, cap, balance To share or post to your site, click on "Post Link". Please mention / link to the ARRA News Service. Thanks!